See the video of the property! 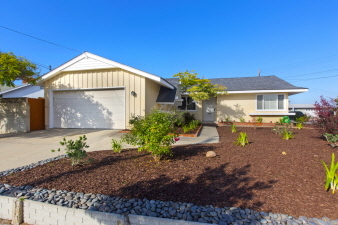 Beautifully remodeled home located on a huge corner lot & cul-de-sac. Lots of charm & curb appeal. New carpet, new paint, new stainless appliances, newer windows & shutters. Lovely covered patio that opens up to the pool & landscaped backyard. Light & bright, open, flowing floor plan. Beautiful, low maintenance landscaping! Sparking pool surrounded by paver tiles and flowering planter boxes. Perfect for entertaining inside & out! The seller will entertain offers between $649,900 & $685,000.